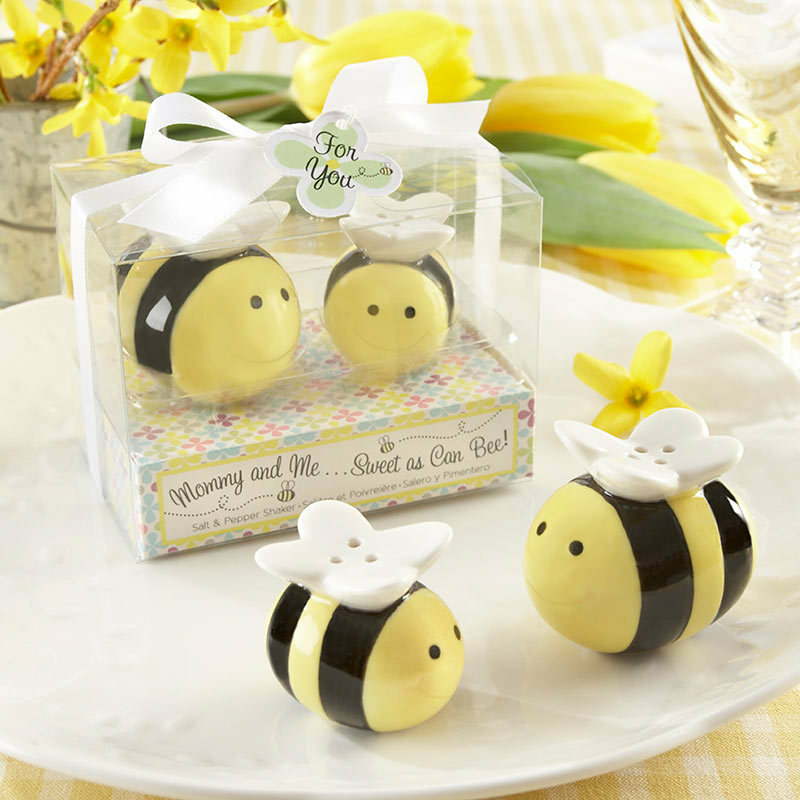 Such a generous shower favor to send home with your guests, our Mommy and Me Sweet As Can Bee Salt and Pepper sets are sure to be bee-loved! Sample price of $4.02 is limited to one per customer and is not available if ordering more than 1 of this product. Limit of 1 sample, in total, per customer.